At Tea Collection, our baby girl swimwear features beautiful prints and fun graphics, perfect to start stylish little swimmers out right . Our baby girl swimsuits are designed just for little bodies with plenty of space for round tummies. 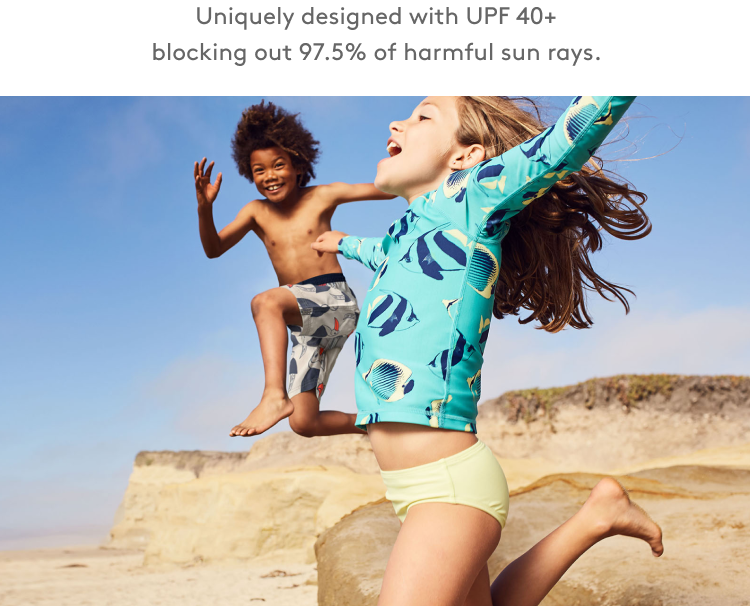 UPF 40 sun protection is built in to our baby swimsuits keep her covered and ready for hours of fun in the sun. Shop baby girl swim styles at Tea Collection for many adorable looks at one really great price.